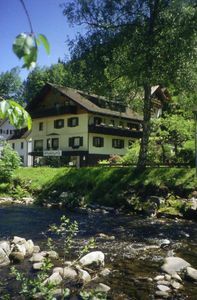 The "Sea Eagle House" is located on a hill above the Schleiufer. 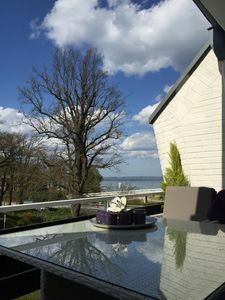 With the best view, like the white-tailed eagle in its nest, you can look north to the loop and to the northeast to the marina. 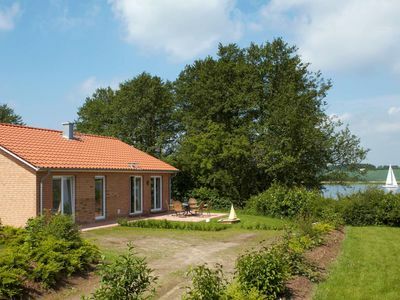 The beautiful garden is surrounded by protective hedges and equipped with a seating area and a beach chair for relaxing sunbathing. 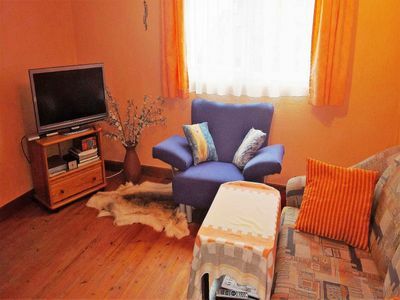 In the house impresses the high-quality furnishing of solid beech wood with warm colors and many beautiful, maritime furnishing details. 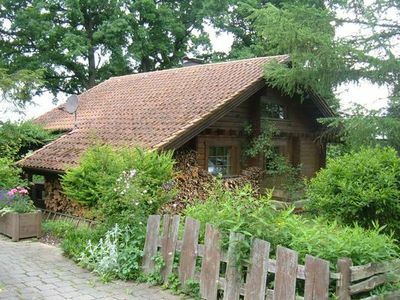 A small library for the holiday reading and a stove make even "Schietwettertage" very comfortable. 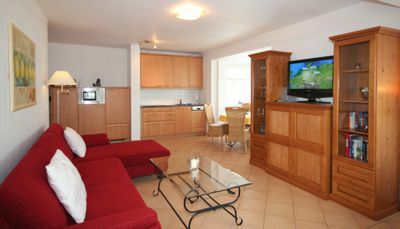 The well-equipped, open kitchen delights all those who like to cook together on holiday. 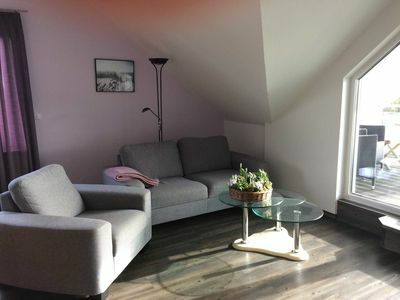 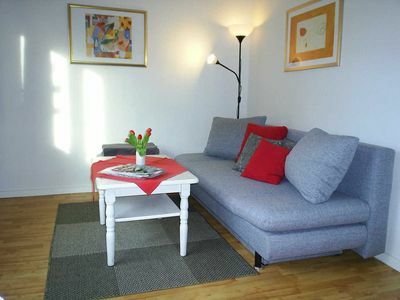 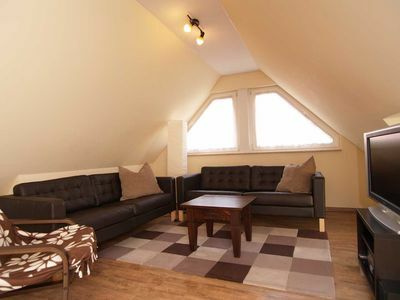 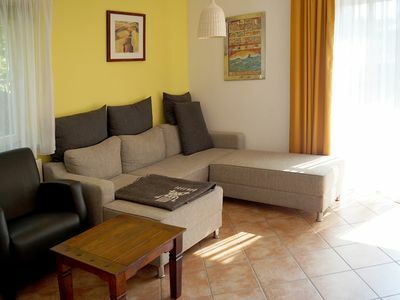 Of the 3 bedrooms, two are equipped with double beds and one with two single beds (90x200cm). 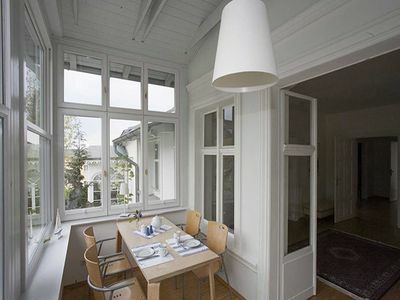 All bedrooms have doors to the garden and one window each with a fly screen. 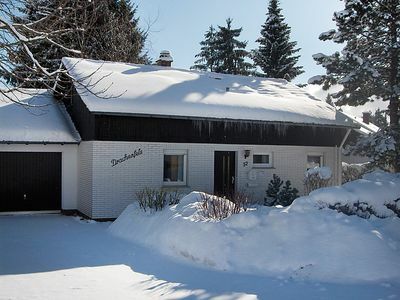 The bathroom has a whirlpool, sauna and heated floor tiles, which, as well as throughout the house, provide pleasant warmth when it's cold outside. 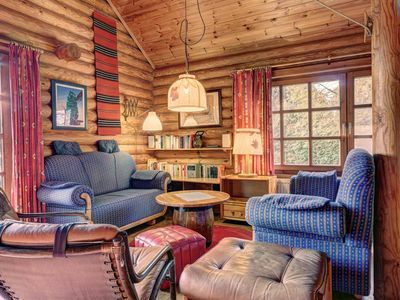 In the wood shed, bicycles or other sports equipment can find their place. 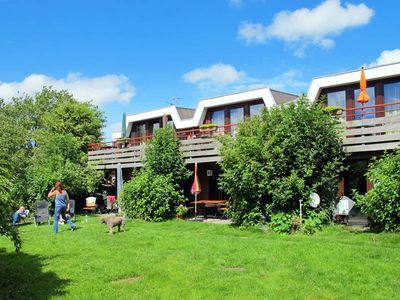 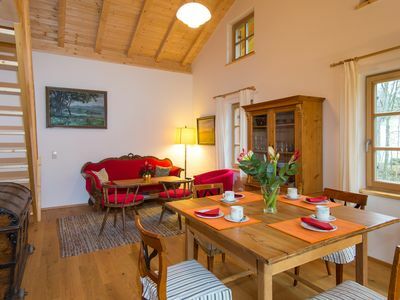 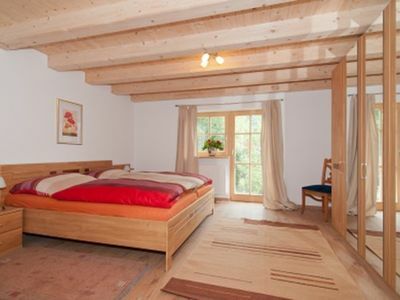 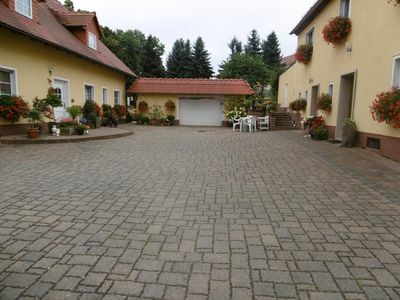 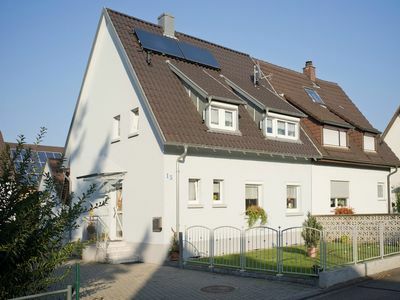 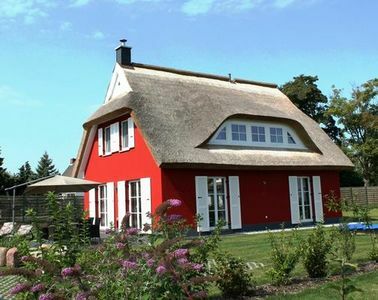 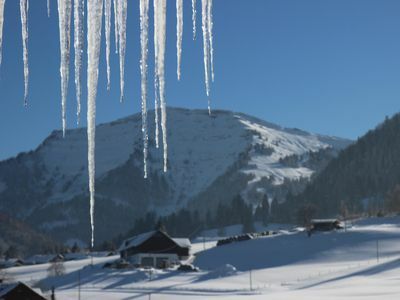 This holiday home has been certified by the German Tourism Association with 5 stars. 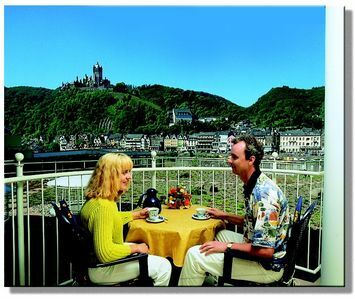 On the sunny side of Cochem - with balcony and castle views, underground parking included.